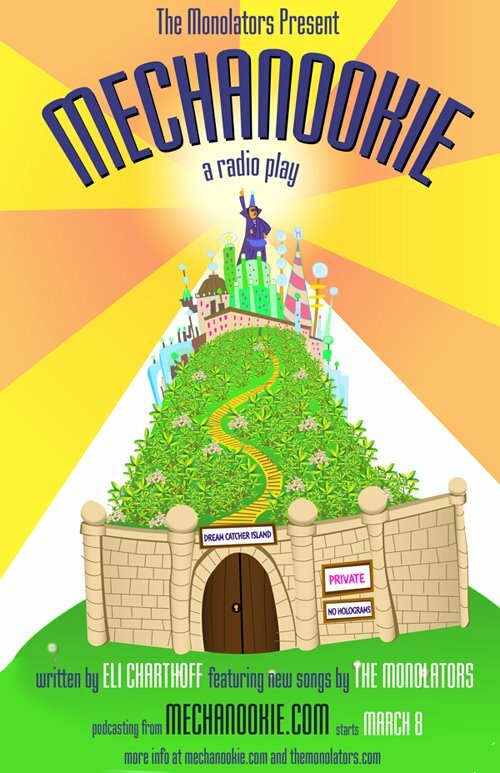 I’m excited to announce that tickets to the live show of Mechanookie, with the full cast and music and everything, are on sale now–you can buy tickets via paypal here: http://www.mechanookie.com/tickets.php $10 for an evening of short pants and Joan Collins. Show is on Saturday, April 14 at 9pm at the Hudson Theater (yes, an actual theater with seats) in Hollywood. No other bands, the show actually starts at 9pm! Hope to see you there. Episode One today at Noon! And Radio Free Silverlake Interview! Episode One coming up this Thursday!